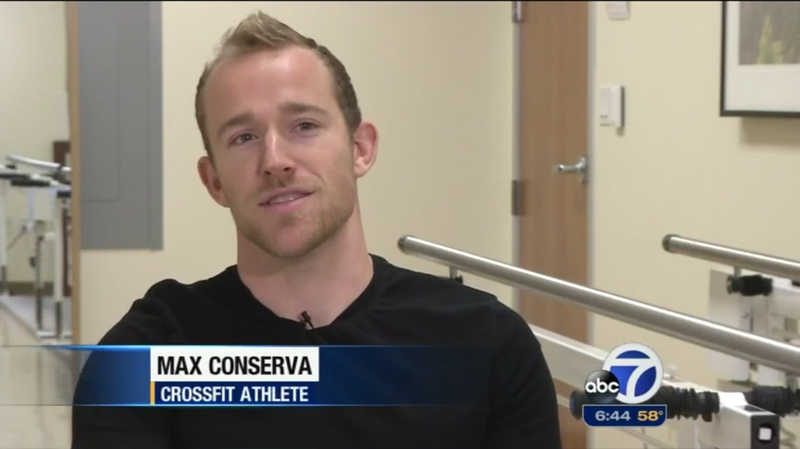 01/09/2015 - ABC Channel 7 News - "Making Braces for Athletic People"
SAN FRANCISCO (KGO) -- A Bay Area center that's changed the lives of thousands amputees, is having the same impact for athletes and others who are battling to overcome severe injuries. Max Conserva is an example. Watching him train for race, you'd probably never guess there was a time when just walking normally looked like a challenge. Max was 8 years old when a semi-truck struck his bicycle. "My knee cap, on the outside got shaved off, so this is bone, LCL, two of my quads," Conserva explains. 11/05/2014 - CrossFit - "Working Wounded Games"
Recap of the 2014 Working Wounded Games. I appear on camera pretending to know what I am talking about. 06/24/2015 - Rogue Fitness - "ExtraOrdinary"
Don't blink you might miss me. I'm the guy playing tennis and doing kettlebell lunges. 06/01/2015 - Star & Lamp - "A Journey: One Step at a Time"